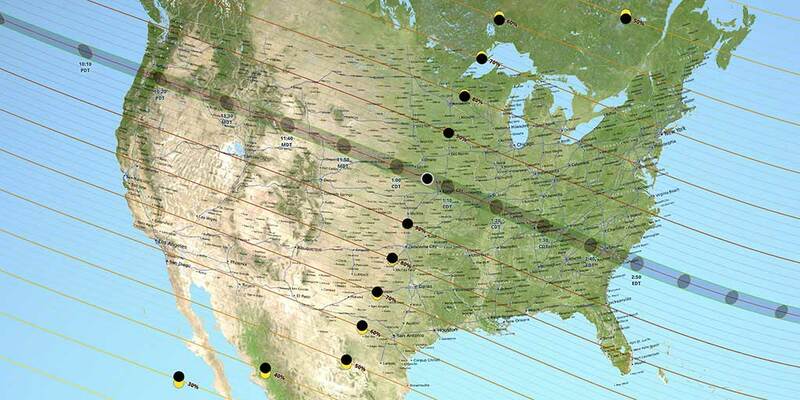 The Total Solar Eclipse that crosses the USA on August 21, 2017 is of great importance to Hindus and Hindu Temples in USA. 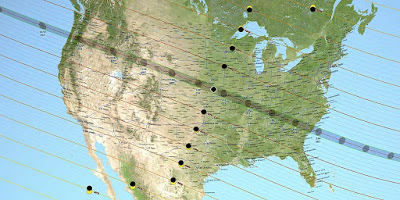 Moon’s shadow makes landfall in Oregon at 10:17 PDT and speeds across the United States to leave the coast of South Carolina at 14:48 EDT (You can find the complete detail of the eclipse in the USA on August 21 here on the official page of NASA). Note - This eclipse is not visible in India. There is no restriction in seeing the eclipse through proper means. However, direct viewing of the sun with the naked eye during the eclipse is prohibited. All Hindu Temples remain closed. Fasting 12 hours before the eclipse. Holy bath in sacred rivers, lakes, ponds, and seas during the eclipse. Food is strictly not taken during the eclipse period. Pregnant women are advised to stay indoors. This is to avoid harmful rays. All Hindu Temples remain closed during the Total Solar Eclipse (Surya Grahan). The temples are closed 9 hours before the start of the eclipse. Shrines open after purification ceremony and proper rituals to ward off the ill effects of the eclipse. However, some Lord Shiva temples remain open during the eclipse as Lord Shiva is considered as ‘Layakara,’ who Himself is an embodiment of darkness. Sun, Surya, in Hinduism is the Pratyaksha Brahman – the Visible God. Hindus have been following solar eclipse from time immemorial. Hindu scriptures have recorded numerous eclipses the most important being the one during the famous Mahabharata war. Ancient sages and texts like Brahman Siddhanta restrict viewing the eclipse – one should look at an eclipse through a cloth or a reflection of it. A pregnant woman should never look directly at an eclipse. Mahamrityunjay Mantra dedicated to Shiva is also chanted during the eclipse. Other mantras chanted are Surya Kavach Strotra and Aditya Hridaya Strotram. Note – As per Hindu Scriptures, nobody should look at the Solar Eclipse directly. Most of the other Hindu practices during the eclipse are based on regional knowledge and many of them have no scientific backing but still many people follow them.